If you have a new iPhone, iPod or iPad, you may want to transfer music and videos from your old device to the new one. How to transfer files from one device to another? This article will show you how to make it with Xilisoft iPad Magic. 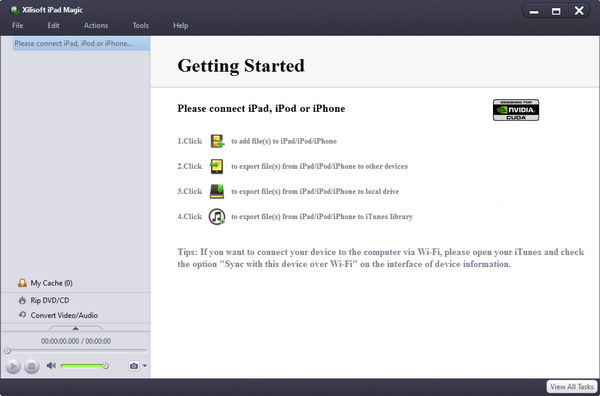 It can help you transfer files from iPhone, iPod or iPad to another iPhone, iPod or iPad without using iTunes. Take iPhone and iPod for example. Firstly, download, install and launch the software. 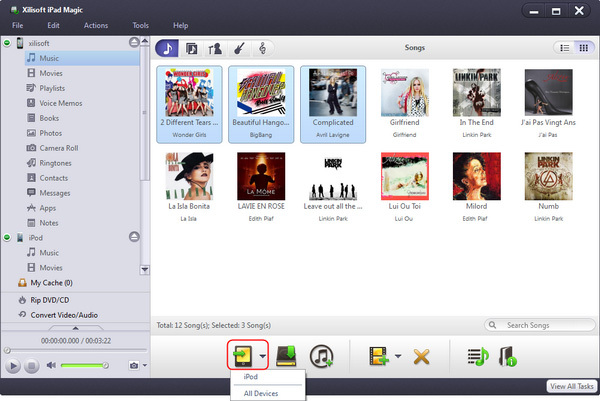 After connecting devices with the program, you can see the main interface as below. Select the music files you want to transfer and click “Copy to Device” button and select iPod. Then the files will be copied to iPod. 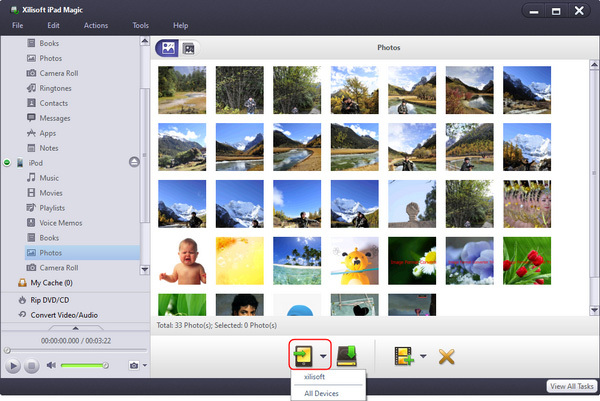 Select the photos you want to transfer and click “Copy to Device” button and select iPhone. Then the photos will be copied to iPhone. You can also transfer videos, books, playlists between iPad, iPod or iPhone.